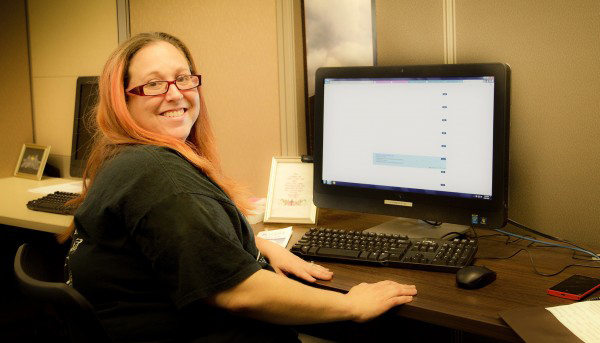 Jeannette Benson scans online job listings at the Dream Center in Topeka’s low-income Hi-Crest neighborhood, where librarians offer job search help and resources. On Tuesdays from 2-5 p.m., people from the Hi-Crest neighborhood come to the Avondale East NET Center to pursue their dreams for a better future. Because Hi-Crest is a particularly at-risk community for homelessness, poverty and safety and health issues, the Topeka Rescue Mission board founded NETReach at the site to tackle those problems head-on. Library staff and reps from other community organizations weighed in on a monthly task force in 2013-14. 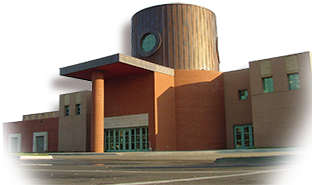 Those monthly meetings spawned several initiatives, one in particular where the Library could help. In April 2014, the Dream Center was born. At the Dream Center, Hi-Crest residents get connected to a wealth of resources to find employment. They can find access to ESL (English as a Second Language) training, take online classes, get help writing a resume and cover letter and get connected to job providers. The library provides four computers and software and a team of five librarians at the Dream Center one day per week. The site contains donated cubicles and has an office-like, professional feel. There, clients forget they’re inside a former elementary classroom. Any job-seeking Hi-Crest residents can use the center. Make an appointment at the Dream Center by calling 785-783-2535. Or find out the wealth of services NETReach provides for the community of Hi-Crest at their website.